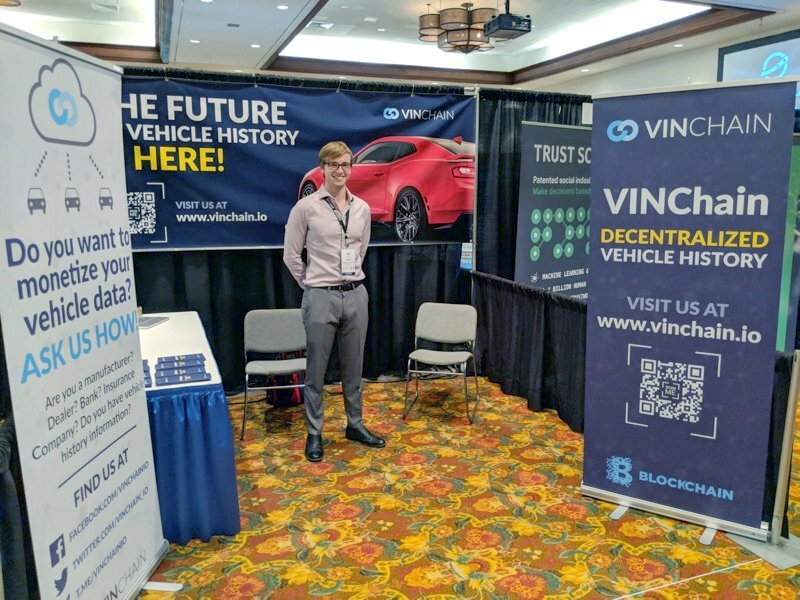 Our company, Vinchain, will be presenting our projects at the Used Car Week 2017 conference. The Used Car Week 2017 will kick off in 2 days’ time. It is a weeklong event where you will be able to network with our CEO, Alex Miles. This conference is the biggest conference in the USA that is dedicated to Used Cars. Different professionals, entrepreneurs and big guns of the industry will be there. I bet you will not want to miss this. At this conference, we will introduce ourselves and unveil our newest project. We will show you the different importance of technologies like Blockchain. This project is the brainchild of our intensive research and hard work since February 2017. While researching, we studied the ability of Blockchain to collect and store information. The aim is to solve the problem of asymmetrical information in the Used Car market by developing a decentralized and transparent database that records all information about vehicles. There are still more to discuss. To know more about our new project and technology; visit this conference. If you have any question for us to answer, you should not miss this conference. We will be there for a week to answer your questions satisfactorily. Our CEO, Alex Miles will also be around for you. It will be too much for you to miss this conference. In our journey to create a decentralized vehicle database, we have been joined by fresh and innovative minds who believe in our project. The newest members who have joined our team are Oleg Khovayko and Stan Polozov. Oleg Khovayko is a Cryptography financial expert while Stan Polozov is a Blockchain Implementation Specialist. They have joined our team as advisors who are going to help us navigate the blockchain systems required for implementing our project. They both have the experience and passion required to make our project successful. Oleg has a strong background in the realm of finance and specializes in the technical aspects of blockchains and cryptography. This background makes him the perfect candidate for the job seeing that he is in the best position to analyze the financial data on blockchain platforms and how to make sure that our project is profitable. On the other hand, Stan is an accomplished career in the technology industry. He will give us insight into how Emercoin can be integrated with existing architecture. He will also be able to give us the best steps to take to ensure that the project is protected in terms of copyright issues. Any ideas we come up with along the way, Stan will provide insights on how to implement them. With the great experience of such advisors, we are looking for new possibilities for the project and for even bigger successes. Their vast knowledge in the industry gives us a better view of what the customer expects from us and thus making us relevant in the industry.